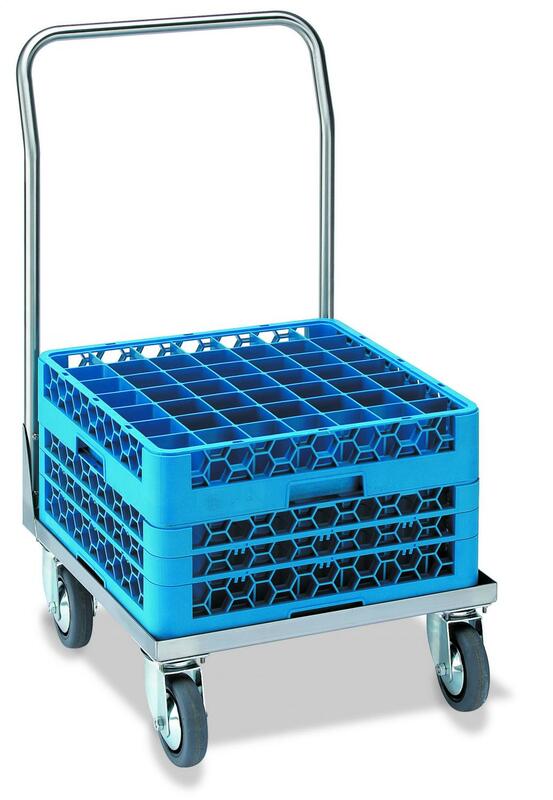 Steinless steel AISI 304 alternatives for the storage and transporting of dishes. 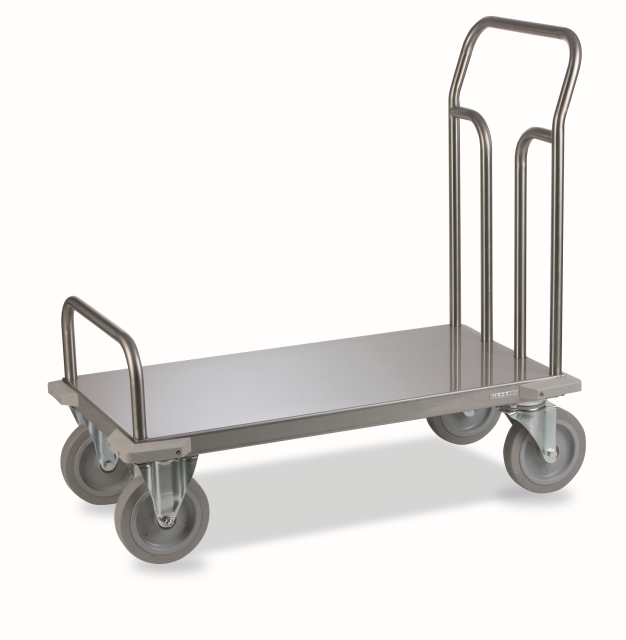 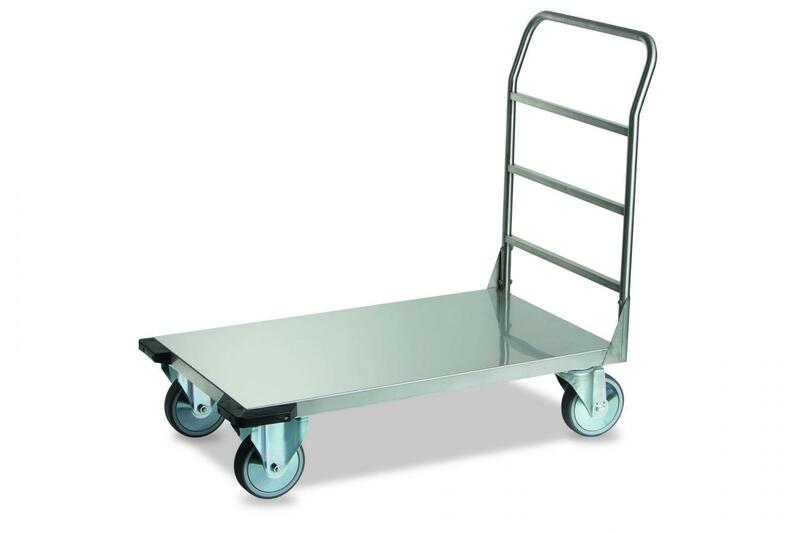 Platform trolleys in AISI 304 stainless steel structure. 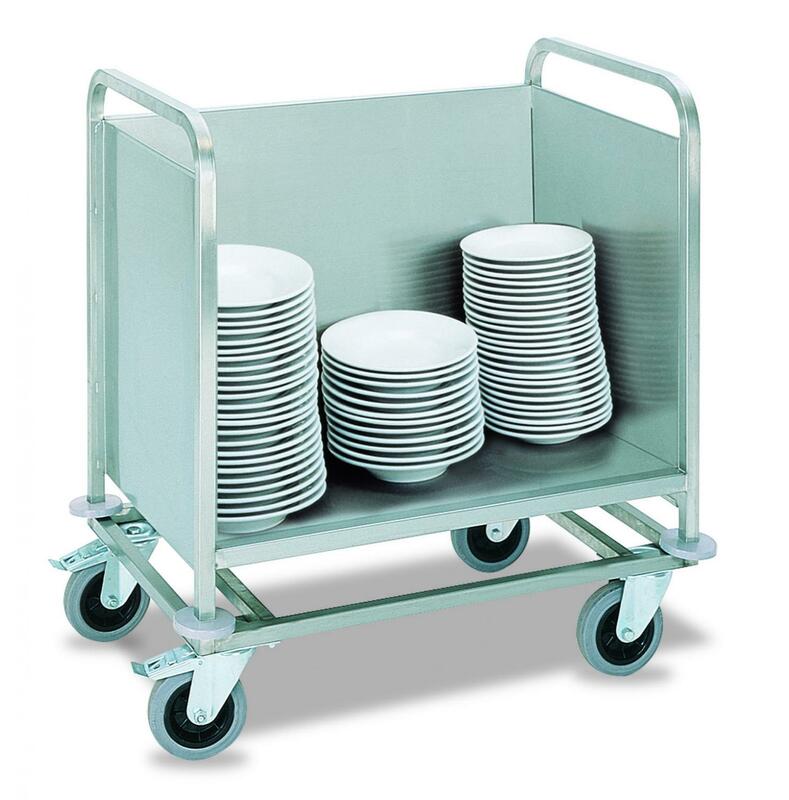 Steinless steel AISI 304 trolleys for storage and transporting of dishwasher baskets. 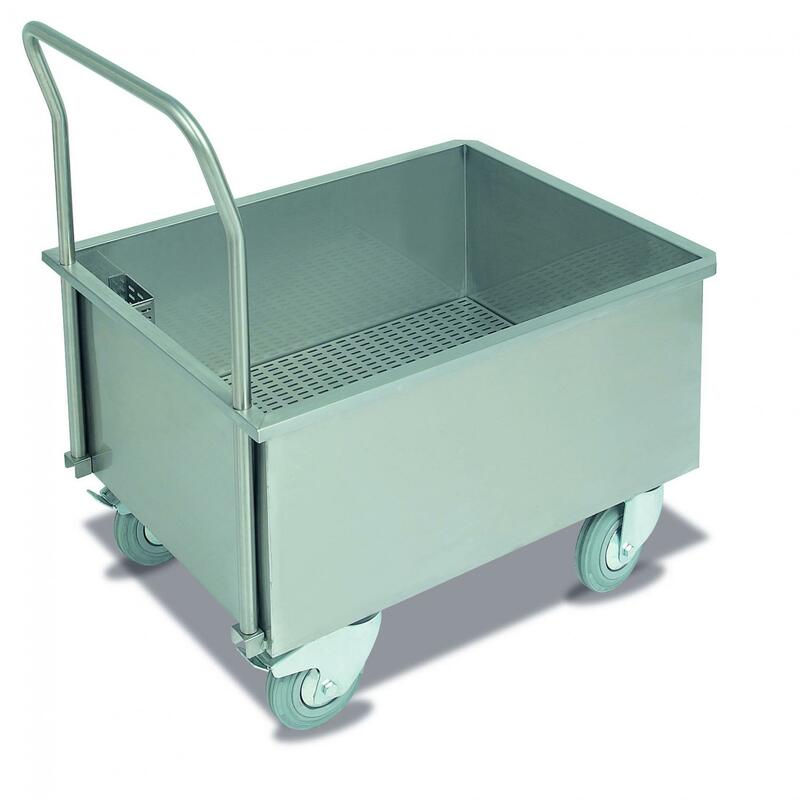 Sink trolley in stainless steel for washing and transporting of fruits and vegetables.